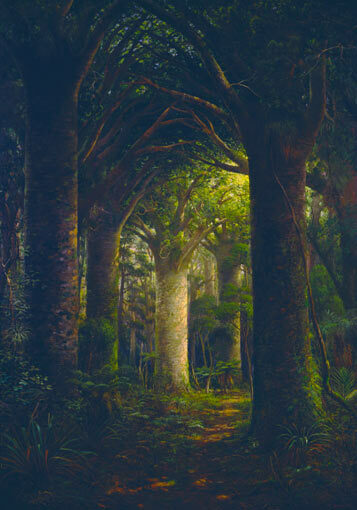 This oil painting by Charles Blomfield shows the kauri forest as the nave of a Gothic cathedral. Blomfield painted many scenes of the New Zealand bush from the 1870s to the 1920s. Like a number of other artists, he saw the bush as a place where God’s presence could be felt.